As a degree apprentice, you'll get work experience alongside industry professionals as well as regular learning support from a workplace mentor and a tutor from Middlesex University. As a school leaver you'll have the opportunity to begin an exciting new career. As an employee you'll develop skills and capabilities with your current employer. A degree apprenticeship is an affordable way to study because the government and your employer pays your tuition fees. Information for employers about degree apprenticeships. Earn a salary while you learn to pay for expenses. Put what you learn into practice right away. Access university support services including counselling and academic guidance. Experience the benefits of a university learning environment. 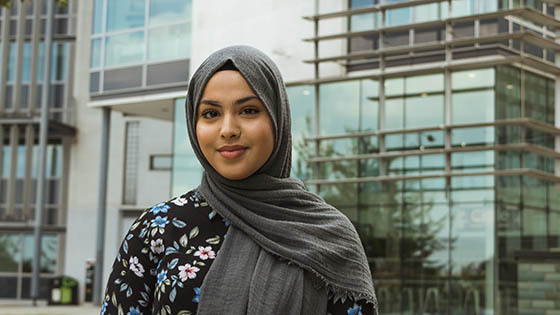 “I started the degree apprenticeship because I wanted to earn money while I was learning valuable skills and working for a business that’s well established in their industry. 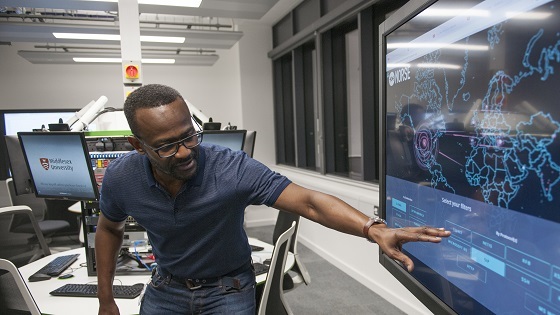 “It's allowed me to work with loads of different people in a professional environment as well as opening doors in other industries I might be interested in. We have the following apprenticeships available that you will have to apply for through your employer. Search the Find an apprenticeship website for apprenticeships in England. 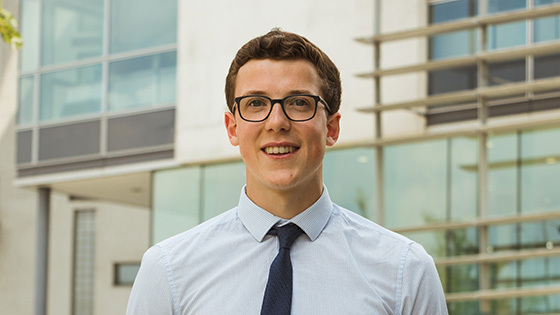 “Having tried a traditional degree I was quite uncertain about the job prospects I would have after graduating, so this degree apprenticeship is a better fit for me as I’m already earning a good salary as well as gaining tons of experience. We've been associated with the Metropolitan Police over several decades and developed postgraduate programmes for senior officers. We've partners with over 500 schools and colleges in most London boroughs, Hertfordshire, Essex, Buckinghamshire and Bedfordshire. We've built excellent relationships with local authorities, voluntary and independent organisations across London. We've got a strong reputation among our partner Trusts in London and develop our courses with the Nursing and Midwifery Council. A degree apprenticeship is a great way to take the next step in your career - wherever you are in your journey. Get a boost at the beginning of your career or get ready to change your career if you're already working. There was a time when I would never have considered being a project manager, but I'm not far behind that now. Courses also have specific entry requirements, such as previous study or submission of a portfolio. Students must also meet our standard English Language Requirements. We accept grade C or above in O Level or GCSE English Language as evidence of your English language ability for most undergraduate programmes. As you apply directly to the employer, individual organisations may have additional selection criteria or things they look for in candidates as part of their recruitment process. Draw up a list of the apprenticeship roles you're most interested in and research each role in-depth to make your decision. Find more useful advice on what to consider when you're looking for an apprenticeship. Remember that you apply to the organisation offering the apprenticeship. Make sure you apply to several vacancies related to your apprenticeship role to give you a better chance of success. Don't wait until the deadline to apply. Organisations will often close their vacancies when they have received enough applications. There is no cost to do a higher or degree apprenticeship for you as a student. You’ll earn at least the minimum wage for apprentices but many companies pay more than this, particularly for higher level apprenticeships. You could potentially earn upwards of £300 per week plus your employer and the government will pay your tuition fees, meaning you won't need a tuition fee loan.